As with any kind of marketing activity, a little thinking ahead can save a great deal of frustration and wasted time later on. This is especially true in an environment like Twitter, where everyone is sifting through information quickly, making snap decisions about who deserves their attention. You never get a second chance to make that vital first impression, so it’s essential to get it right. With that in mind, you should have a fair idea about how and why you plan to use Twitter, before you even sign up. If you need any help with that, our article on Social Media Marketing might prove helpful. Understanding your broad aims for the account, who you want to connect with, why and how, will help you to make good decisions right from the start. The process of setting up your Twitter account starts right on the Twitter homepage, where three boxes ask you for your full name, email address and password. Already, these questions begin to define the way you’ll use your account. 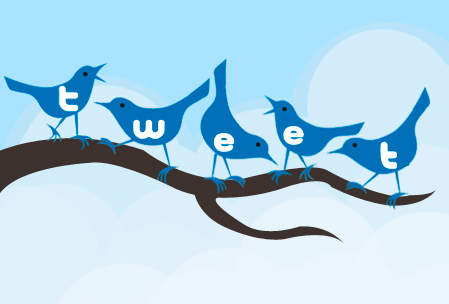 Will your presence on Twitter be as a company, building brand awareness, or will it be a personal account, enabling you to develop direct, personal connections? How can you make it easy for people to find you using Twitter’s search facility? Even something as simple as the email address you use to register can have a real impact, since this is the address Twitter will use when you receive notifications and direct messages. Ask yourself: whose job will it be to deliver the swift, appropriate and factually accurate responses that will give a great impression of your business? Talking to the boss is great, but will you have time to do a good job? Likewise, if you have more people in the company, would using a generic “mail” or “info” address enable others to lend a hand… or would that just mean everyone leaves it to everybody else? The next page gives you a chance to change or refine your name and email address details and, importantly, to choose your Twitter username. Because this is the name that will be displayed alongside any messages you send on the site, and that others will need to use to contact or refer to you, it is crucial to get this right. Your username should therefore be memorable, easy to spell and, as far as possible, make it obvious who you are, or what you do. Try to think about what people who are trying to find you would expect to see. If you’re already active on other sites and forums (perhaps even ours here on WetLeisure.co), and you want to connect with those people, can you re-use your existing username? Or perhaps it would make sense to include a common search engine keyword relevant to your particular pool, spa or sauna business? One word of warning: some Twitter users give themselves joke or risqué usernames. While this is entirely a personal choice, ask yourself how professional it would look if you decide to include it on your letterhead or business cards… or how you would feel reading it out over the telephone. Beware of the Twitter Teacher! At this point, Twitter will send you a confirmation email, to check the address you have given is genuine, and its “Twitter Teacher” will offer to guide you through the basic steps towards becoming an active Twitter user. While this is, in some ways, a good, general-purpose introduction to the site it is important to be aware that it is aimed at creating a basic, personal account. For example, the Twitter Teacher will suggest celebrities for you to follow. Since others can see whose tweets you subscribe to, you may decide that this is inappropriate for a professional, business account. More importantly, Twitter leads you to find other users to follow before completing your own profile information. The message a user receives when you follow them is your first and best chance to make an impression, and tempt them to follow you in return. If they see your profile is incomplete, that’s a wasted opportunity. Instead, it’s a good idea either to click “skip” for any stages you’re unsure of, or indeed close Twitter and re-enter through the link in your confirmation email, which will bring you to your main Twitter page instead. From here, it’s easy to complete your profile and familiarise yourself with the site at your own pace. Should be recognisable at small sizes, and will need to stand out among a long, vertical list. If you already have an image that works well on other social networks, using it here too can help existing contacts to spot you. Your best opportunity to tell readers why you’re worth following, and what to expect from you on Twitter. Remember to include important search terms relevant to your business. Similarly, your location should use the words your customers actually use to look for you online. Remember to link to your own website. You can connect to a Facebook account (or business page if you have one), but setting Twitter to auto-update that can prove tiresome for followers of both. Similarly, it is not usually a good idea for a business to protect its tweets. In future articles, we’ll give tips on building your Twitter following, along with a few pointers on how to use the site to communicate. For now, though, it’s a good idea to take time to search for relevant topics and get a feel for the conversation. Just like in any public space, it’s wise to listen for a while before you speak.